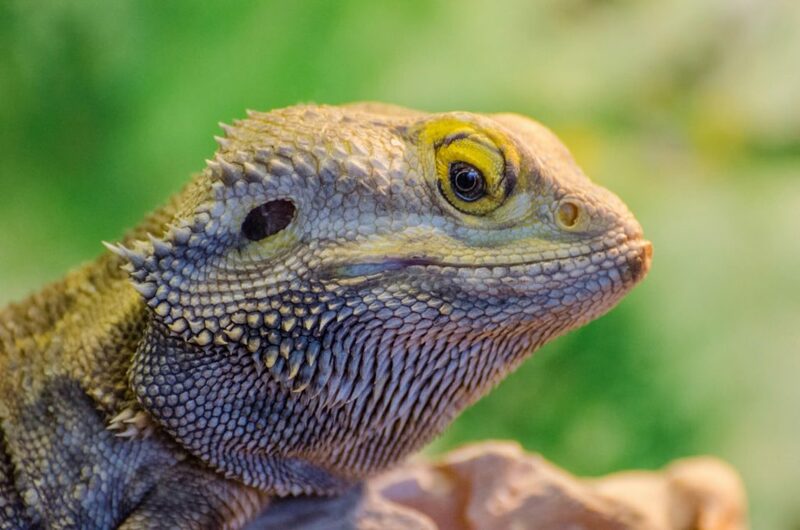 Bearded dragons can show through their behavior and through colour changes in what mood they are. It can even show if they are healthy or sick. That is why you have to be very attentive when it comes to behavioral changes. 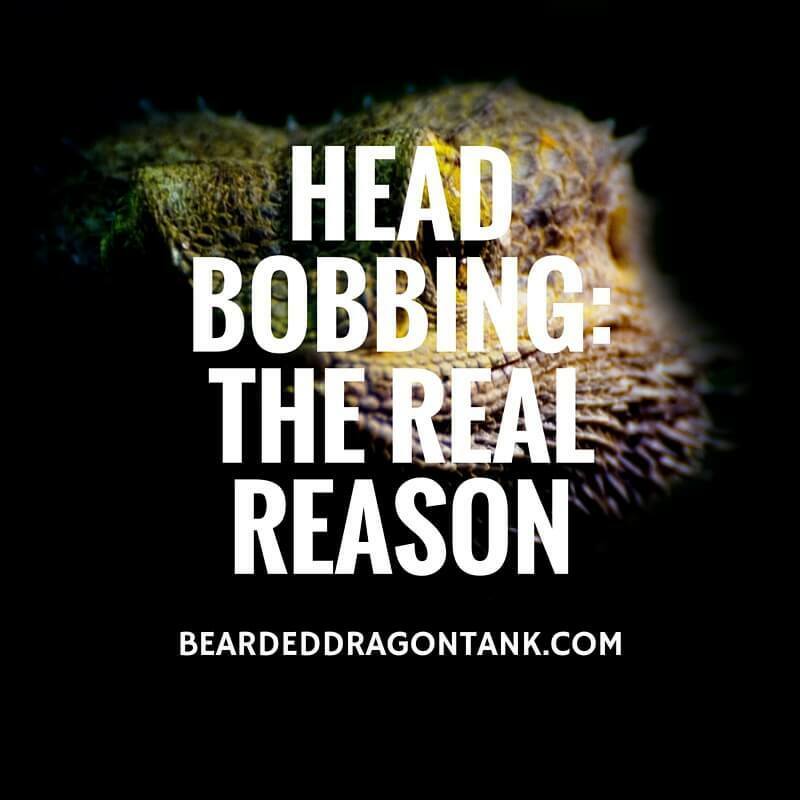 In this post I want to tell you what the bearded dragon head bobbing means. No it does not mean your beardie is listening to music and having a ball. In most cases only male bearded dragons bob their head quickly. The female beardies do not do it so often, but it doesn´t mean that they don´t do it at all. I have seen a few females doing it. It can be a sign of dominance, but it can also be part of a mating ritual. If a rival gets into the territory of a bearded dragon it will bobb its head quickly and puff up its beard and body to look more scary, to scare away the intruder. So you see bearded dragons are loners and they will defend their territory with this behavior. A slow head bobbing is part of the mating ritual in most cases. You can also often see this when female dragons want to mate. A slow head bobbing is more a sign of submission and this can also be seen when a male bearded dragon accepts another male as the bigger and stronger one. You can often see that in terrariums with a group of bearded dragons. The head bobbing is supposed to relieve tension within the group. A lot of pet shops recommend to buy more than one bearded dragon, because one alone might be lonely. This isn´t the truth, they only want to make more money. In fact it is better to have only one beardie in one tank. You can definitely have a group of bearded dragons in one tank, but you have to make sure that you have a really big tank. However even if you have a big terrarium, it can happen that bearded dragons show dominant behavior. If they show it from time to time and no one gets hurt, it is okay. However if you see it every day you should act. Your bearded dragons might be about to fight and that can end pretty badly and I am sure you do not want that. So if your bearded dragons are bobbing their head quickly the whole day, you should seperate them. From experience I can say that two males in one tank is always a bad choice. A female and a male can work, or multiple females with one male, or only female. It CAN work, it does not mean it will work. I have also seen aggression between female dragons. You have only one bearded dragon and it is bobbing its head? Sometimes it can happen that your bearded dragon wants to show you (Yes, you! The owner!) that it is the stronger and bigger one, or it wants to show you that you are the bigger one. I am sure that a lot of beardie owner have seen this before. If you recently bought your bearded dragon and it shows this behavior, just give it time, it will get used to you. It can also happen that the dragon sees its reflection in the glass of the terrarium and thinks that there is an intruder. Maybe put a plant or a piece of wood in that place to fix the problem. You need the right tank to see real bearded dragon behavior! Bearded dragons have a huge behavioral repertoire. The arm wave for example is also pretty cool! If you want to see that you should create a habitat which is very close to their natural habitat in the wild. If you need help with setting up the right tank have a look at this article. You can find complete tanks for bearded dragons on your budget. Bearded Dragon Tanks! So I hope I helped you with this article! If you have any questions, please leave me a message in the comment section below, I always get back to my readers quickly. In what situations have you seen your bearded dragon bobbing its head? Tell us your story Just leave it in the comments below!